The convergence of Connected and Automated Vehicles (CAV), Digitization, Smart Cities, and the Internet of Things (IoT) is reaching the preverbal “Tipping Point.” All of these concepts and technologies have been around for a decade, or more with some early proof of value, working demos, and pilot projects already deployed. What is changing now is Cities, States, National Governments and private companies both large and small are now seeing millions of dollars in funding dedicated to these concepts and technologies with the expectation of solving some of society’s most significant challenges such as CAV’s ability to mitigate the global issues of increasing traffic congestion, lost productivity, and traffic-related loss of life due to human error. We have seen the proliferation of the connected mobile device in the last decade. The technological influence is undeniable, but what’s the next proliferation of connected devices? In terms of sheer quantity (estimated between 1-2 Billion devices), that will be connected, digitized, automated, and integrated into the IoT and Smart Cities over the next five years will be surface vehicles of all types. As a result, one of the most important items within the IoT/Smart City Infrastructure that requires connecting, securing, digitizing, and ultimately automating is the Traffic Management System. The key will be how a network of sensors and detectors, actuators, controllers, and software systems will be the backbone and anchor tenant for any larger smart and connected traffic management deployment. This includes how the IoT integration will enable new realms of traffic control capabilities. The technology, security, and connectivity requirements of these systems are understandably receiving more and more attention. Some of the recent highlights addressing these critical issues are featured in this issue of the CAVita News Digest. The Story: CAVita Principal Barry Einsig discusses the future of Connected and Automated Vehicles (CAV), Digitization, Smart Cities, and the Internet of Things (IoT), and what is needed to prepare for it. The Takeaway: It is expected that 1-2 Billion devices connected, digitized, automated, and integrated into the IoT and Smart Cities over the next five years will be surface vehicles of all types. As a result, one of the most important items within the IoT/Smart City Infrastructure that requires connecting, securing, digitizing, and ultimately automating is the Traffic Management System. Want to hear the interview? Watch the video here. The Story: As the "connected" car - connected to the Internet - is becoming more mainstream, a recent report found that while the software is feature rich, they are not so rich in security. The Takeaway: The recently published Ponemon Institute report - "Securing the Connected Car: A Study of Automotive Industry Cybersecurity Practices" - determined that current vehicles touted as "connected" are not ready for operation in an online world. The report is based on a survey of 593 security practitioners, product development professionals and engineers within the industry. The most encouraging finding is that a majority of respondents are very much aware of the problem. More than two-thirds said the need for better cybersecurity is “urgent,” for obvious reasons: 62% said they think a malicious or proof-of-concept attack against automotive software, technology or components is very likely in the next 12 months. Software security is not keeping pace with technology in the industry. Few companies – just 10% - have an established cybersecurity team. Less than a third of organizations (31%) educate their developers on secure coding methods. Want to read more? Visit the source here. 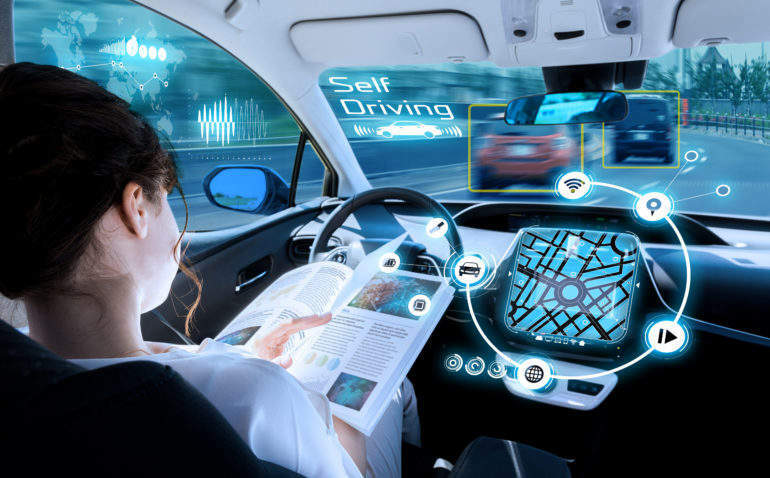 The Story: CAVita's own Dr. Peter Sweatman addresses the focus on connected and automated vehicle technologies to make driving safer in this "Under The Microscope" feature of Pursuit - University of Melbourne's publication on cutting-edge research and technology. The Takeaway: With each wave of innovation, we see reductions in serious injuries and fatalities. Historically, however, that downward trend tends to level off as the frequency and volume of travel increases, and the problem is still way too big. As Dr. Sweatman explains, the major issue we now face is that human error plays a part in 94 per cent of remaining serious crashes. That is why the focus has to be on using connected and automated vehicle technologies (CAV), to help make driving safer. A great deal of the development work on CAV technologies is really about exploiting opportunities to use connected automation to take human error out of the equation. The Story: Smart or connected cars can reduce traffic congestion, and more importantly, prevent fatal accidents. However, more connectivity and internet-enabled services present security risks via additional attack vectors in connected and automated vehicles. Connected car security isn’t a single-layer issue. It demands a multi-layered security approach encompassing both hardware and software components. The good news is that there are pre-configured design options that simplify the otherwise complex security implementations. 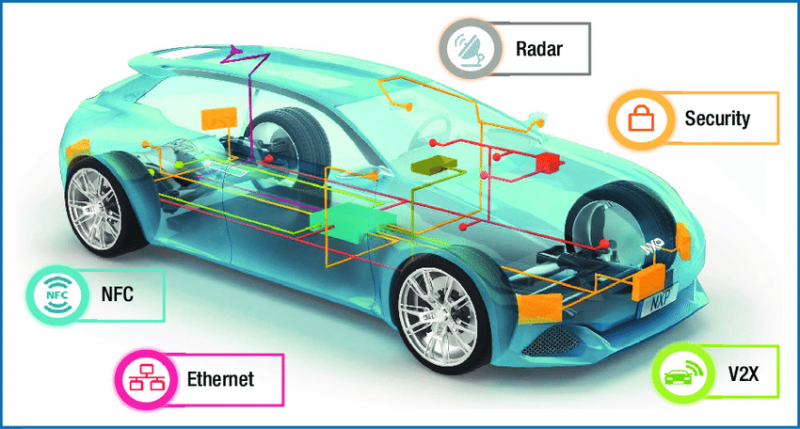 So, it’s time that we (automotive OEMs and Tier 1s) get together and focus on securing connected cars. The Story: The UK government has promised to have automated cars on the roads by 2021. The UK market for connected and automated vehicles estimated to be worth £52bn by 2035, and a government strategy is to welcome investment from international transportation technology companies. The Takeaway: As a result, the Department for Transportation wants to see fully-automated cars - driving with no human oversight - and cars with no steering wheels tested on UK roads soon. Currently, the rules around trials require a human remote driver - not necessarily inside the vehicle but ready to take over control if needed. Any new trial must, however, abide by strict rules, including informing the authorities and emergency services. Companies must also perform risk assessments and publish safety details. CAVita’s clients include some of the transportation industry’s leading organizations, such as the two largest transportation research institutes, the Texas A&M Transportation Institute (TTI), and Virginia Tech Transportation Institute (VTTI). Other clients include the Transportation Research Board (TRB), the American Association of State Highway and Transportation Officials (AASHTO), the National Cooperative Highway Research Program (NCHRP), and numerous private companies. Copyright © 2019 Econolite. All rights reserved.